WHAT IS NEW? Keep in touch! 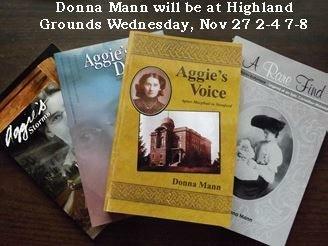 The Aggie books: The Brucedale Press website, my website and independent bookstores. ​WinterGrief is also available on Amazon, Essence, and my website. January 2018 - A New Year - So what's happening on Writeplus? 2016: Canadians were invited to choose a woman's face for the new Canadian bank note. I voted for Agnes Macphail. First woman elected to Canadian House of Commons. That didn't happen, but something more impressive in 2017 A 10-dollar bill is used more than a 50. Agnes was born March 24th in Grey County, Ontario - What a nice gift this would be! Since the long awaited books of A Rare Find and Aggie's Voice were published in 2013, I've changed my direction for finding homes for my writing. In some ways redirecting one's compass is a good thing for creative juices to flow, however it can be a bit confusing for readers. You'll still find me on this site, adding new information and publications. I've enjoyed reading some old manuscripts that had to wait in line and now have moved them to the front of my desk. I've also written several short stories from plots that have been niggling at me. Sometimes a writer has an excellent story brewing in the back of one's mind - not novel length, yet needs to be told. Having some fun doing that. 21 PROMISES: HONOURING SELF IN GRIEF (2015) ​is a journal-workbook with directive questions. EMMA'S CALL topped the shortlist group for WordAlive Press 2016 Fiction Contest. Congratulations to four other shortlist, honourable mention contestants and the winner. It was also short-listed in Best New Canadian Manuscript in 2017. Again congratulations to five short-listed contestants, and the winner. Emma's Call is a story set in the life of a small town church in 1935. GOOD GRIEF PEOPLE was published March, 2017 by Angel Hope Publisher. And it has been soaring. WHO WILL SAVE OLIVER'S TREE, illustrated by Sarah Nickel, was a joy to write. It's based on the story of a barn owl, who lived in our barn in Grey County . . . for a while. More on that later. Keep in touch, visit my pages and drop me line. If you're a writer, believe in yourself, in your story and in the movement of the Spirit who tugs you forward to - just do it. 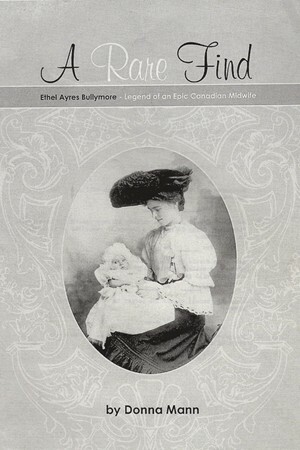 was released Fall 2013 by Castle Quay Books Canada. I am thrilled to more . 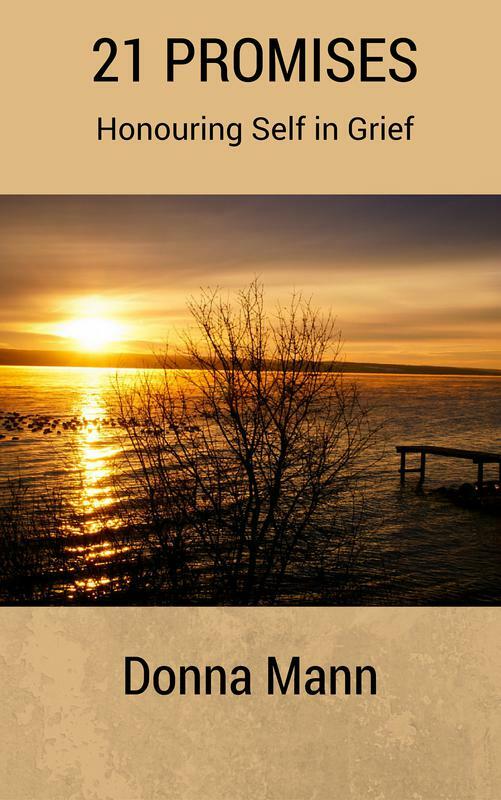 . .
21 Promises: Honouring Self in Grief is written for anyone who needs reassurance that grieving is a normal process and does not require anyone’s permission. To those who have turned away from statements like, “Come on now, don’t cry” and have found space to weep, to wail, to express anger and to feel helpless–Bravo! Written in workbook format, e-book readers can keep a journal to document progress. Meadowlanebooks has been converted into "LittleRedBarnstories" for children (young and young-at-heart) and a good selection is still available on http://meadowlane.homestead.com. I hope to add stories on this site regularly. PODCASTS - Little Red Barn podcasts on iTunes wll be available soon for your enjoyment. WRITING YOUR FAMILY STORY is an exciting part of the process toward digging deeper into family history. Is there someone in your family that has influenced you and others? You might want to begin there. Perhaps you'd like to create a time-line or family tree of known ancestors and write a collective piece. Maybe you'd even like to give some of these ancestors a voice and write through a creative non-fiction style in setting with dialogue. Six lessons at $20.00 (including one critique and mentoring) completed on your time will give you a great start to reach this goal. 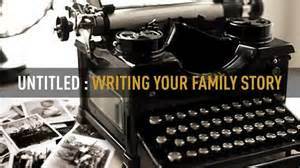 Interesting in reading about this opportunity check out link Writing Your Family Story. (Not offered at this time - check back again).